Erin has a BFA in product design from the Parsons School of Art and Design in New York. She worked in Berlin and designed product at Target before opening an online boutique with two friends and selling goods from makers locally and nationally. She works out of her windowless ceramics studio in South Minneapolis. All items are hand-made, no two are exactly alike. The series of noodle lighting came from an experimentation in form that arose from the shape of the neon itself. I was searching for a way to mimic the tubular nature of neon, and to have a ceramic base mirror the twists and turns of the neon. I ended up with a series of quarter round molds that I could cast individually, and assemble any which way. 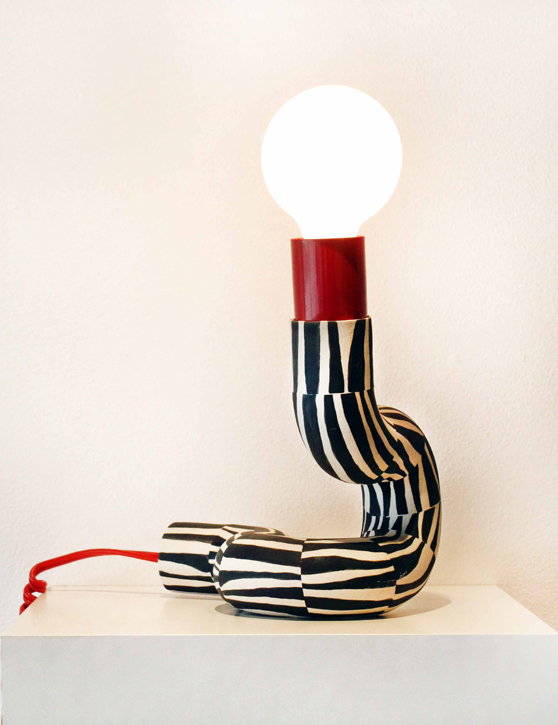 The incandescent lights naturally came as a secondary item in this series, with a desire to create a more utilitarian version of the neon sculptures.